She was the villain The Bachelor fans loved to hate. 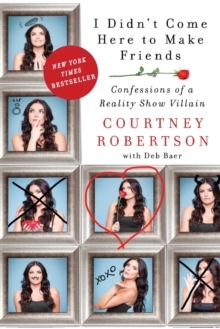 Now Courtney Robertson takes us along on her journey to find love and reveals that "happily ever after" isn't always what it seems . . . Courtney Robertson joined season 16 of The Bachelor looking for love. She fit the casting call: She was young, single, a working model, and a natural in front of the cameras. Although she may have been there for all the right reasons, as the season unfolded and sparks began to fly something else was clear: She was not there to make friends. 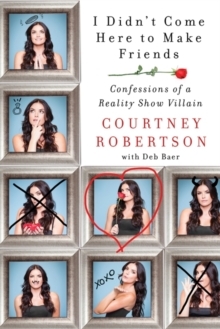 Courtney quickly became one of the biggest villains in Bachelor franchise history. She unapologetically pursued her man, steamrolled her competition, and broke the rules-including partaking in an illicit skinny-dip that sealed her proposal. Now, Courtney tells her own story-from her first loves to her first moments in the infamous Malibu mansion. She dishes on life before, during, and after The Bachelor, including the tabloid frenzy that continued after the cameras stopped rolling. Complete with tips, tricks, and advice from your favorite Bachelor alumni, I Didn't Come Here to Make Friends is packed with all of the outrageous stories and details Courtney fans and foes alike want to know.